Homeowners have always been frustrated by the intermittent and uneven heating and cooling of traditional forced-air HVAC. Even in the process of running less expensively, today's cutting-edge ductless systems deliver superior, customizable comfort. You are reading one installment in a ten-part series devoted to exploring Mitsubishi Electric ductless heating and cooling. See all. In today’s energy-conscious world, homeowners understand the critical importance of efficient heating and cooling. But if you’re upgrading your HVAC system, though it’s important to understand the yearly operating cost of a given appliance, it’s also critical to understand what it means for your comfort level. After all, lower utility bills are attractive only so long as they do not come at the expense of your ability to enjoy time spent in your home. Of course, we’ve all grown accustomed to imperfect heating and cooling. Traditional forced-air systems have frustrated homeowners for years, being both expensive to run and inconsistent in performance. Next-generation technologies promise superior efficiency, and among those, Mitsubishi Electric stands out for its assurance of total comfort. Thanks in large part to their innovative ductless design, Mitsubishi Electric systems are able to save homeowners 30 to 40 percent on monthly heating and cooling bills compared with forced-air systems. Yet, even with dramatically lower energy consumption, Mitsubishi Electric still manages to deliver unparalleled comfort. In a forced-air system, conditioned air intermittently blasts right into the room, but in a wholly undirected way. 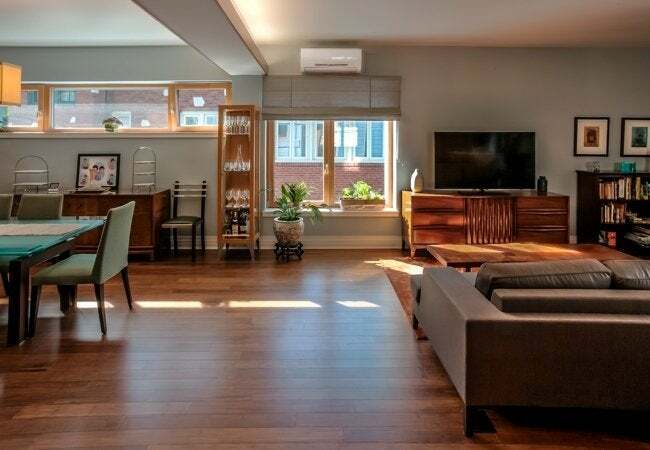 By contrast, a Mitsubishi Electric ductless system distributes air through an indoor unit whose fan ensures controlled, even distribution throughout the square footage. 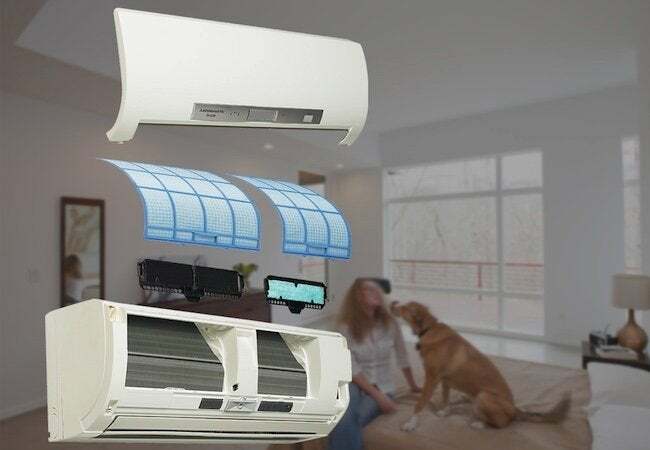 Plus, because the indoor unit actually mounts within the space that it’s conditioning, the system accurately monitors the ambient temperature and regulates to match the heating or cooling demand. Working in concert, fan distribution and continuous adjustments succeed in preventing any areas from becoming too hot or too cold. The stop-and-start operation of forced-air systems leads to rollercoaster-like environments, while Mitsubishi Electric ductless systems offer smooth and steady climate control. 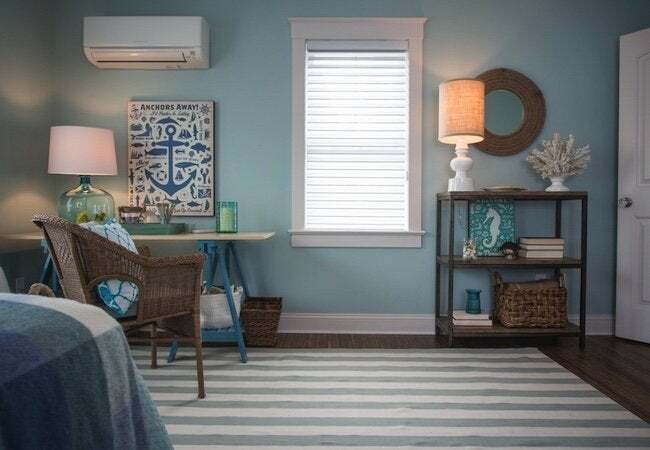 Some homeowners choose a ductless system to provide supplemental climate control in those peripheral rooms that rarely stay comfortable—an attic bedroom, for example. Equally common is for the ductless technology to serve the entire home. Here, rather than designate a single thermostat to control the temperature in all rooms, on all floors, Mitsubishi Electric makes it possible for the homeowner to establish zones. For each zone, there’s a different indoor unit, and for each indoor unit, there’s a different controller. 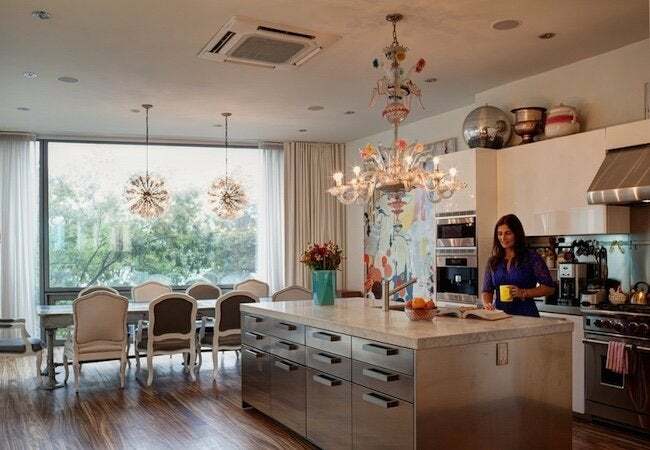 That means that, in a multizone home, the master bedroom can be set to one temperature and the living room to another. Heating and cooling no longer entail the discomfort of a one-size-fits-all approach. 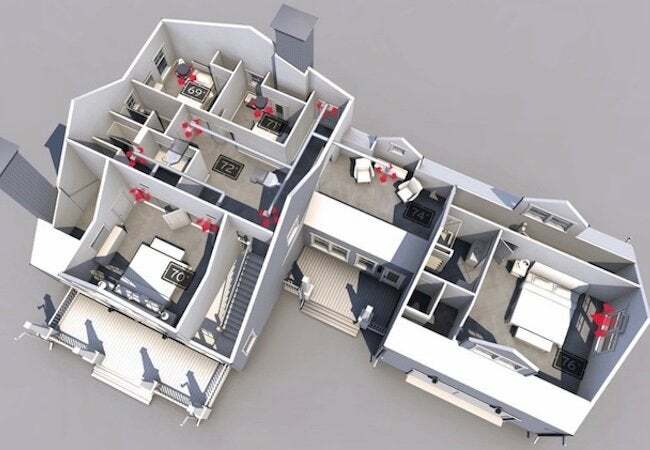 Zoning can accommodate the temperature preferences of every member of the household. According to the Environmental Protection Agency, indoor air pollution ranks among the top five environmental health risks. Astounding but true: The air in our homes often contains more airborne hazards than the air outdoors. Mitsubishi Electric ductless systems combat contaminants through advanced multistage filtration. Not only do these filters remove irritants and allergens like dust, pollen, and dander, but they also reduce viruses, bacteria, and odors. Remember that in conventional HVAC systems, the ducts often end up collecting and spreading impurities. Mitsubishi Electric offers a breath of fresh air, by comparison. Rather than compromise it, a Mitsubishi ductless system works to improve indoor air quality, providing peace of mind and a healthier, more comfortable living environment. In the average home, heating and cooling contributes more than anything else does to the family’s utility bills, so it’s hard to overstate the importance of choosing an efficient solution. Fortunately, like most other technologies, HVAC has progressed by leaps and bounds in recent years. On the leading edge, options like Mitsubishi Electric ductless systems simply need much less energy than their predecessors. But the best part about a Mitsubishi Electric system is that, even as it runs less expensively, it still manages to outperform older heating and cooling appliances. There’s no longer a need to sacrifice comfort for savings, or vice versa. With a system from Mitsubishi Electric, you can experience the most comfortable climate control of your lifetime, very likely for less money per month than you’re currently paying.